Before the days of shopping centres and supermarkets everyone did most of their business in their own community. 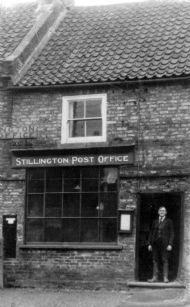 A village like Stillington would be virtually self sufficient and few people would travel far to work: many people worked from their own home. However if the need arose there were carriers, and later motor omnibuses, that travelled to York three times a week. By the 1930s a regular bus service ran through the village from York to Helmsley and this enabled many villagers to take up work further afield. Farming was the backbone of village life and provided the most employment up to the early 20th century. In 1881 there were over thirty farms in the Stillington and Marton area which supported a good 200 people directly and many, like the horsebreakers, saddlers, blackmiths, millers and cartwrights, indirectly. How different it is today! 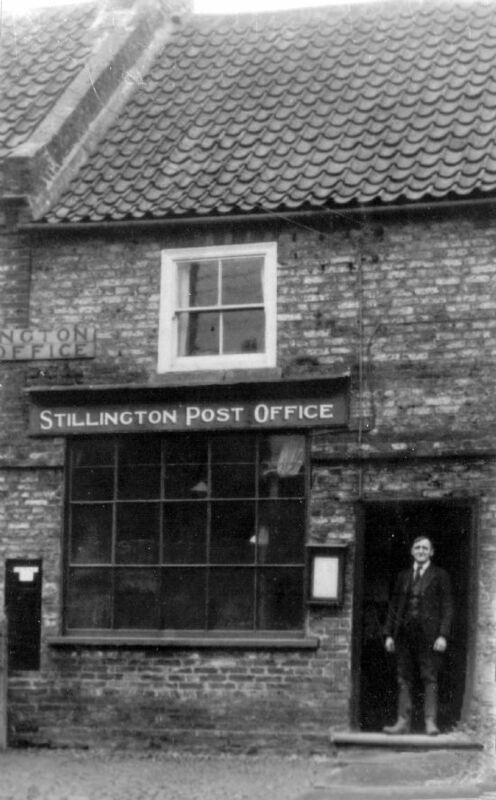 Stillington could always rely on good services - there were plenty of grocer's shops, often two doctors who also served as dentists, a post office, a vet, a midwife, two schools - not to mention at least five pubs! Today we can still do business at our post office and shop, owned and run by the community. We have a doctors' surgery and, until recently, a vet. Our village primary school, which replaced the National Church School and its Wesleyan counterpart in 1907, is thriving. Though two pubs have altogether ceased trading - The Boot & Shoe Inn is now a family home and The Fox Inn became a farm, and is now a timber business - three still survive in some form. The White Dog is now an Indian restaurant and The Bay Horse, a former coaching inn, has been transformed into The Bay Tree, after a short period as a gastro pub. Only The White Bear retains its old name and much of its character as a village pub. Lilywhites of Sowerby Bridge. Bob is standing far left and Annie is the lady in the doorway wearing glasses. Postman William Snowden Appleby Junior stands in the doorway. This building is part of the house now known simply as 'The Cottage'. Photograph taken during the early 1960s.